Having become one of the most highly-anticipated movies of all-time, Star Wars: The Force Awakens has already set records for early ticket sales, and is a possible for setting the all-time highest grossing movie record or at least crossing the $1 billion mark. Both a blessing and a curse about this film is that Director J.J. Abrams has kept plot details and even much of the premise of the film hush-hush, which prevents spoilers but has led to much speculations and (some crazy) rumors. However, two new official trailers have released just enough of the plot-line to give a rough idea of what the movie will be about and to almost confirm some speculations about the upcoming film. The two main speculations that have been basically confirmed is that Rey and Kylo Ren will be children of Han Solo and Leia, and that a main character from the original trilogy will die. While an old, most likely beloved character dying isn’t exactly a good thing while it does the films realistic, having the new characters be related to the old ones is a good move. The whole Star Wars story is a generational story, first with Anakin Skywalker and then his son, Luke Skywalker, and his daughter Leia Skywalker. It would only be fitting for the story to be continued with the children of Han Solo and Princess Leia, to continue the Skywalker legacy. The only complaint so far is that zilch has been heard or seen of Luke Skywalker, which could be a reason to worry, but of what has been seen and heard of the movie so far, things seem to be pointing to a great next installment of the Star Wars franchise. The premise for the movie, of the little we have found out so far, is that the film takes place 32 years after the events of the Return of the Jedi and continues the story of Luke and Leia Skywalker and Han Solo and their allies, along with new leads Rey, Finn, and Poe Dameron, that shows them having to face the new threat of the First Order, led by Kylo Ren and his master, Supreme Leader Snoke, that unites with the remnants of the Empire to fight the Rebellion, newly-named the Resistance. The film will star Harrison Ford as Han Solo, Mark Hamill as Luke Skywalker, Carrie Fisher as Princess Leia, Adam Driver as Kylo Ren, Daisy Ridely as Rey, John Boyega as Finn, Oscar Isaac as Poe Dameron, and Andy Serkis as Supreme Leader Snoke, Peter Mayhew as Chewbacca, Kenny Baker as R2-D2, Anthony Daniels as C-3PO, and Tim Rose as Admiral Ackbar. 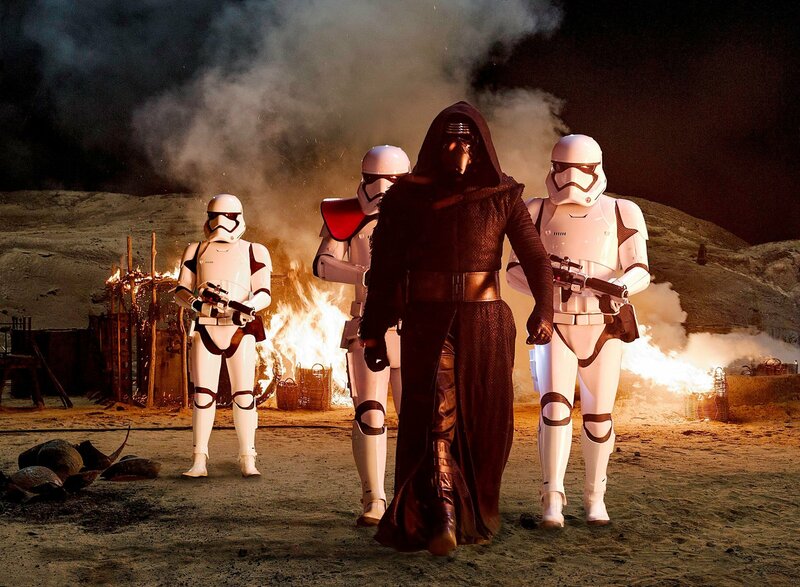 The film will be the first of six Star Wars films in the next six years, three prequels and three sequels. Star Wars: The Force Awakens hits theaters December 18, Star Wars Anthology: Rogue One comes out in 2016, Star Wars: Episode VIII is released in 2017, untitled Star Wars Anthology Han Solo film in 2018, Star Wars: Episode IX in 2019, and untitled Star Wars Anthology Boba Fett film in 2020. Wow!That sounds so cool! I am a HUGE Star Wars fan, and I can’t wait to see this movie! Thanks for the post! Wow! Great post! Thanks, Joshua!